By carefully framing views and clearly defining spaces for entertaining and arrival, Ryan Associates achieved a feeling of spaciousness and privacy within the very narrow bounds of this property. Site and circulation challenges were addressed by purposefully delineating paving patterns, planting design, and changes in elevation to define and separate the spaces and their uses. 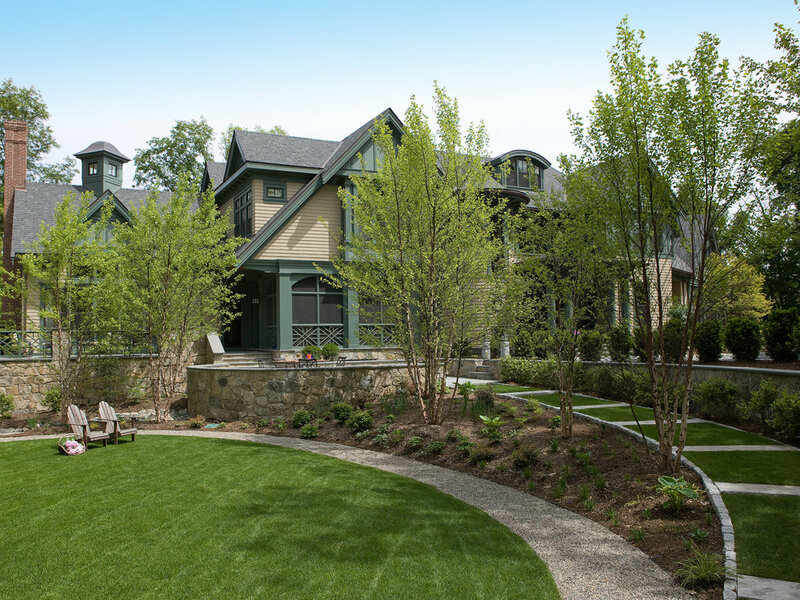 The signature feature, an oval lawn, is set off by a stunning grove of birch trees and a ramped grass path with granite steps – the focal point for an upper bluestone terrace overlooking the space.